Packed with many of the core features of their acclaimed CL Series, the Yamaha QL1 32-channel digital mixer is your ideal compact all-in-one solution for mixing, processing, and routing audio. Loaded with premium internal processors, including stellar-sounding EQ and dynamics tools developed in cooperation with Rupert Neve Designs, the QL1 will bring out the best sonic character in any source. 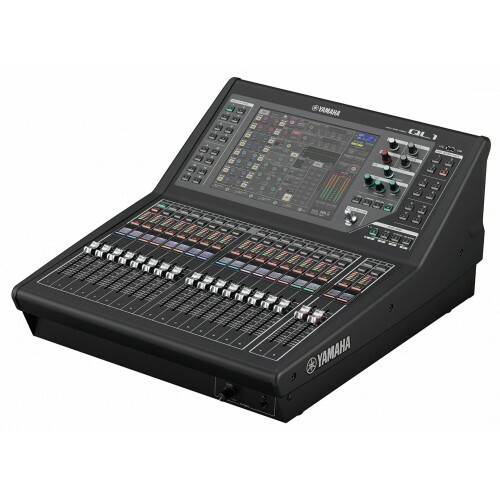 With built-in automixing functionality, Dante network support, and remote control via your tablet or computer, the Yamaha QL1 is the perfect sound reinforcement solution for small- to medium-scale live sound, corporate speech events, broadcast, and more! Mix Channels: 32 mono, 8 stereo (16 local inputs- digital stage box is required for additional channels).